Question of the week is: What book are you reading right now and what do you think of it? I’m currently reading The Good Dream by Donna VanLiere and Treasuring Emma by Kathleen Fuller. I like both pretty well. I’m partial to Amish Fiction, so I read a lot of that. 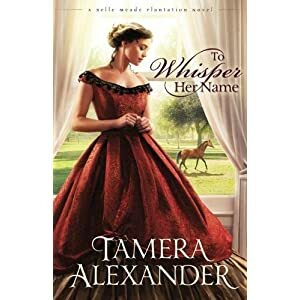 Check out vignettes of Tamara’s new book–To Whisper Her Name. It is the second book in the Belle Meade Plantation Series and if it is anything like the first It will be great. Click to link below to check out the vignettes. You can preorder this book on Amazon for a discounted price of $4.99. Check it out. 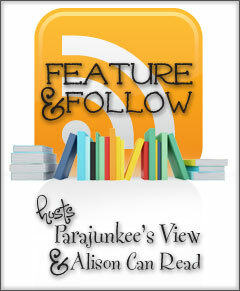 I got an Advanced Reader Copy from Blogging for Books. I absolutely loved this book. It is the best book I’ve read by Cindy Woodsmall. It kept my attention from the start. It didn’t start out slow, like some books, but was enthralling throughout. Rhoda was a very likable character. Cindy made you really feel Rhoda’s stuggles. She was accused of things that weren’t true and suffered for those accusations. She got through those stuggles courageously and with integrity. When I first meet Leah from the King family, I didn’t like her, but her character got stronger as the story went on and she redeemed herself. The rest of the King family was also very likable. Samuel trys to do what is best for the family orchard. His brother Jacob has secrets of his own that he has yet to really rsolve as the story comes to a close. Eli was a minor character, but hopefully we’ll hear more about him in coming books. Samuel’s girlfriend, Catherine, is a character I didn’t care for, but with Cindy’s writing style, I still had empathy for her. These characters face many obstacles and challenges as they try to do what is best to make a good living for themselves. Rhoda sometimes feels that the troubles are fault, but as you come to find out, as is with everything in life and in books, GOD has a perfect plan for everything. The dialogue and comentary in this book are great. The plot is realistic. I cannot wait for the next book in this series to come out. Cindy Woodsmalll I think you did a very excellent job with this story. Thank you very much. These characters will stay with me for a long time to come. Welcome to Follow for Follow Friday! The question for this week is: What book are you currently reading and what do you think of it? I’m currently reading a Season of Tending by Cindy Woodsmall and so far I really like it. It has kept my attention pretty well.